Looking for a stress free summer? 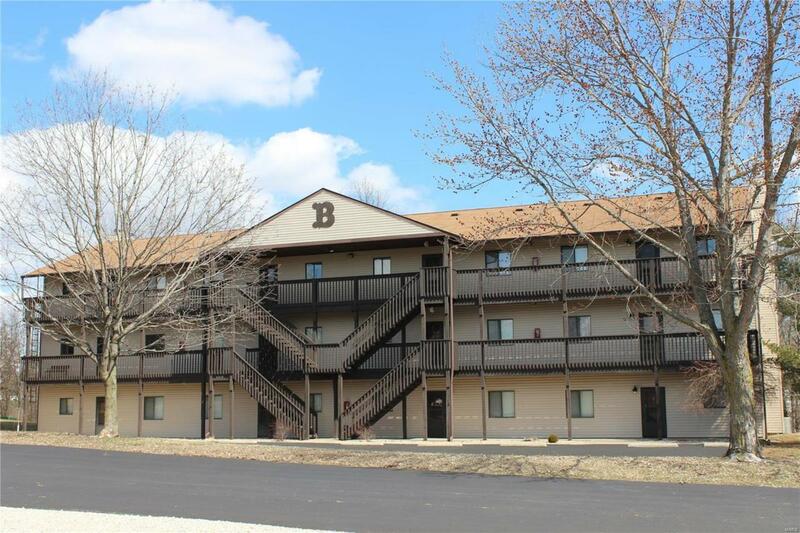 Check out this move in ready, exquisitely designated, condo located just minutes from Mark Twain Lake and across the street from Mark Twain Landing Waterpark. 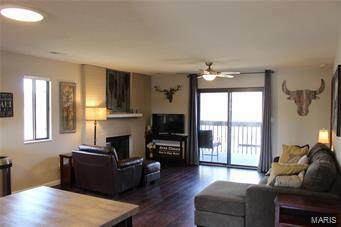 B5 is a second floor condo featuring a wood burning fireplace and private views of the woods overlooking the covered deck, two bedrooms and two full baths. This open concept features hardwood floors throughout and tile in the bathrooms and upgraded appliances. Owners have plenty of space to park their boats on the newly expanded parking lot for free. The $125 monthly assoc. fee: road maintenance, snow removal, trash, exterior maintenance and some insurance. Worried about not having a pool? Walk across the street and have a water park at your fingertips, seasonal memberships sell for as low as $60 a person during special promotions. Call today for a special viewing and tour of the lake.